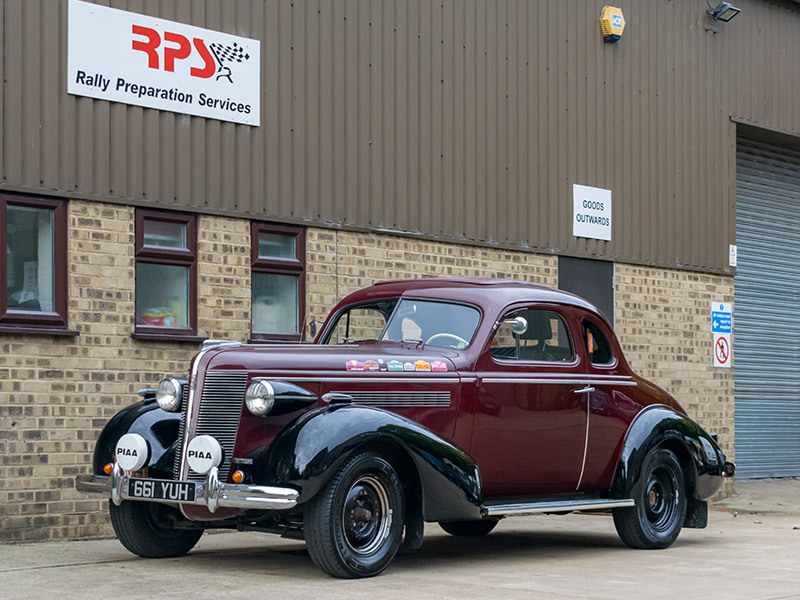 Rally Preparation Services is pleased to offer for sale this beautifully prepared 1937 Buick 40 Coupe classic car for sale. A seasoned competitor and veteran of Peking to Paris Motor Challenge, this long-distance endurance rally car was built into a rally car in 2012 from a very good standard specification car. A total rebuild from top to bottom has been carried out where every aspect of the car has been undertaken with reliable long-haul endurance rallying in mind. The styling of the Buick Series 40 Coupe was modified for 1937 by none other than Harley Earl, an American automotive designer and businessman. Earl was the first top executive ever appointed as Head of Design by a major corporation in American history. He later went on to become vice president of General Motors. Earl was the first person to use freeform sketching and hand sculpted clay models as automotive design techniques. The Buick now has a specification to tackle any long-distance endurance rally with ease – having a huge fuel capacity which enables this car to have a 720-mile range whilst the crew are cosseted in a pair of modern car seats making any journey super comfortable. With its uprated heavy-duty gearbox and rear axle to truck specification along with recent works on the suspension the car feels almost indestructible when you drive it. Matched up with a bespoke hand-crafted exhaust manifold which has been recently added along with a pair of new carburettors and the car feels like it is pulling like a train with its super torquey straight eight-cylinder Dynaflash engine – which left the factory in 1937 with a mere 107 BHP. Every requirement of long distance rallying has been considered with this car here and shows in the original rally car build with the car’s safety features, lighting, charging, electrical arrangement and even down to the addition of a multi speaker stereo! This car is a great classic rally car and ready to undertake any arduous adventure. This is a unique opportunity to purchase a proven and interesting capable rally car which has been built and maintained regardless of cost. Characterful and strong, this dependable Buick has already tackled many long-distance events all over the world effortlessly and will continue to do the same in the future. The car is currently residing at RPS’ sister company – the SASCo storage facility and available for inspection. All viewings and test drives welcomed by appointment at Rally Preparation Services All enquiries please to Martin on martin@rpscvm.com or telephone +44 (0)1993 358009. INTERESTED IN USING THIS CAR ON A RALLY?